Do you customize everything that’s yours? Your float plane dock (I don’t have one but saw this one today at Lake Hood in Anchorage)? Many people go to extraordinary efforts to make anything that’s their’s something very special. It then becomes a place to be proud of, a place to be comfortable in, and a place to find peace at. Those customized places can become very important (and probably essential) in the times of greatest stress. 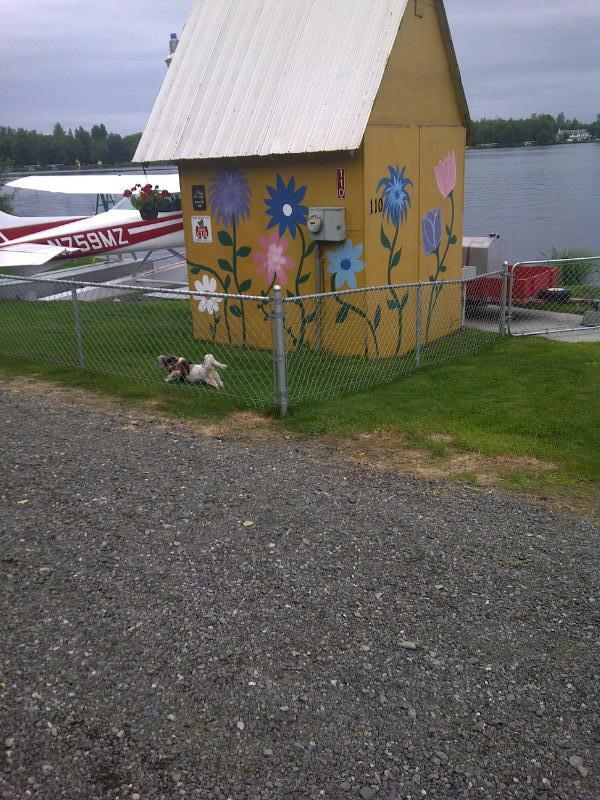 I’ve been known to poke fun at those who go to extremes (just look at the float plane dock). But the older I get, the more I understand why those customized places are so important. They provide uniqueness and a reflection of your character. They provide anchors to remember special moments. They provide comfortable environments for needed release. All are essential to manage the deep stress that seems to accompany today. So for all of you who customize many things that are yours, customize away. And come back (or come out) smiling when you get to spend time in those funky looking places that truly reflect you.